Parkinson’s Law states that “Work expands to fill the time available for its completion.” It’s based on the scientific observation that no matter how few tasks a person may commit to, they will be able to fill their time entirely on those tasks. For instance, if a person has been given the task of filing papers in one drawer of a cabinet and she has an entire week to complete the task, she might invent a new filing system. She could track down every person in the office to whom each document pertains to find out which papers to keep and which could be shredded, etc. Obviously, she needs more to do. Her under utilization not only costs the organization her lost productivity but the lost productivity of the others in the office whom she how has time to distract. Parkinson’s Law not only has useful insights for the workplace, it also can help us as we consider how we can redeem the time for Christ and his kingdom. While we don’t want to become too busy to just love the people in front of us and attend to the presence of God, we also don’t want to be slothful servants with nothing to show at Christ’s return. This is why it’s so important for us to keep the Growth Cycle in mind as we make disciples and consider our own spiritual growth. Each wedge is as important as the others and deserves equal attention. Unfortunately, all too often I encounter believers who pit the various aspects of healthy discipleship against each other and most of the time it’s the “Grow” piece that gets the short end of the stick. Perhaps a believer will claim that he is called to encourage the church and that while he’d like to do more outreach, he doesn’t want to take time away from the church to do it. So, his energies flow from “Grow” to the “Take Root” wedge of the Growth Cycle. Another person might claim that any time they might use on mission must be allocated to raising godly children over in the “Bear Fruit” wedge of the cycle. This tendency to pit one aspect of discipleship against the others, doesn’t seem to arise from honest focus and balance in life as much as it does from an unwillingness to attend to aspects of God’s will that don’t come naturally to us. Take, for instance, a business man who wants to advance in his company because he’s “been commanded to provide for his family.” He will work long hours and devote his mental energies to his tasks at work in order to advance. This will leave no time or energy for him to invest in the spread of the gospel. On the other hand, if he realized that he and his family could live on less he could still provide for his family and allocate time to be on mission with Christ. Parkinson’s Law provides the evidence a person needs to believe their own self-serving assertion that attending to one aspect precludes any possibility of attending to the others. It is my contention that without the ongoing tension toward holistic discipleship, Christians will spend their available time in the area of overlap. A person may already want to lose weight and so she will focus on how God wants her to have a healthy attitude toward food. Another might be addicted to success and will tell himself that God wants him to be a good steward of his time. Yet another might draw her sense of self-worth from her role as a mother and conveniently focus on God’s commands that we teach our children. While God wants all of these things for us, we need to examine whether we’ve surrendered to him or whether we’re using him. God will call us out of our comfort zone to fulfill his will. He’ll have us load up our families and subject them to poverty for the sake of his kingdom. 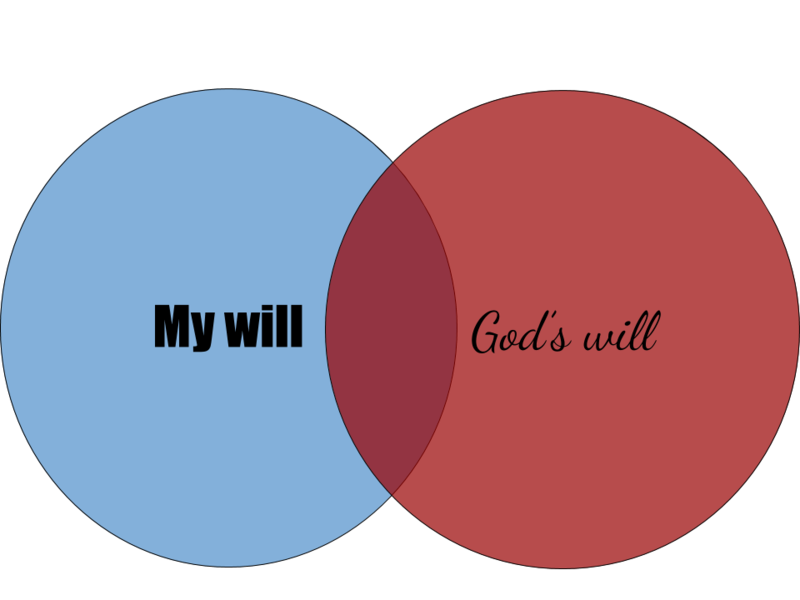 Our pursuit of his will might lead us into menial jobs or even the loss of our health. As we share life, we consent to the ongoing tension of the mutual accountability found in the spiritual community. I’m into mission. I need my brothers and sisters to push me to focus more on my personal spiritual life and on faithfulness as a husband and father. Others are consumed with raising a godly family. They need me to push them to find ways to reach out into the world. Otherwise all of us will find ways to expand the work associated with our own areas of interest into all of the time available and come to believe the lie that we just don’t have time for the rest of God’s will.